The Holiday Catty is here and it's a DOOZIE!!! There are the most amazing products in this one and SU! hit the nail on the head with the coordinating framelits and punches! Doesn't take much more than that for me to be in love! The embellishments are to die for! Make sure to download your copy of the catty on my sidebar. If you don't already have a paper copy, don't currently have a demo, and live in Canada please contact me and I'll get one in the mail to you! I've got a ONE day special on to celebrate the launch of the new catalogue! 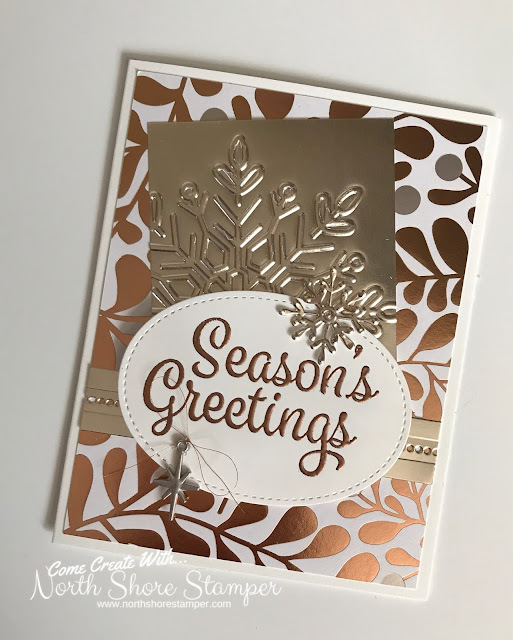 Purchase the Snowflake Sentiments Bundle shown in my video and you'll get a free package of the NEW Champagne Foil! Lovely Inside & Out... Especially with Washi! New Clearance Rack Items are Here! HO HO Holidays is Here! New Stamping 101 Video is Here! Party & Prizes Event is Here!